Ridley Scott's seminal 1979 sci-fi horror classic 'Alien' did far more than cement itself as a high-water mark of the genre and fully establish Scott as an auteur for years to come; it spawned a long running, highly profitable film series, not to mention comic series, and yes, the inevitable video game tie-in. 'Alien' fans (as well as those of the 'when worlds collide' 'Aliens vs. Predator' series) are no strangers to the numerous attempts to bring the panic and claustrophobia of Scott's vision to their consoles and PCs. In every case I can think of, a crack at the series in video game form has far more in common with James Cameron's action-packed follow-up, 'Aliens' than Scott's maze of corridors and H.R. Giger crafted terror. 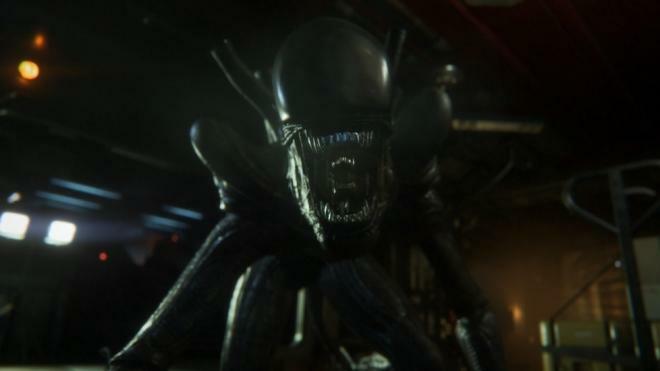 Enter 'Alien: Isolation,' a game that seems isolated from prior 'Aliens' game outings, and a game that takes the whole 'No One Can Hear You Scream' tagline to heart. Our terrorized protagonist is none other than Amanda Ripley, daughter of Ellen, who during the course of this game is still drifting through space in cryosleep. Investigating the possible recovery of the Nostromo's flight recorder, Amanda, under the supervision of the nefarious Weyland-Yutani Corporation, travels to Sevastopol Station in search of answers regarding her missing mother. Naturally, a calamity has struck the station and following a thrilling spacewalk from Amanda's ship to the crippled station, it's up to the gamer to guide Amanda through the city-sized space station in search of answers and help for her separated crew. 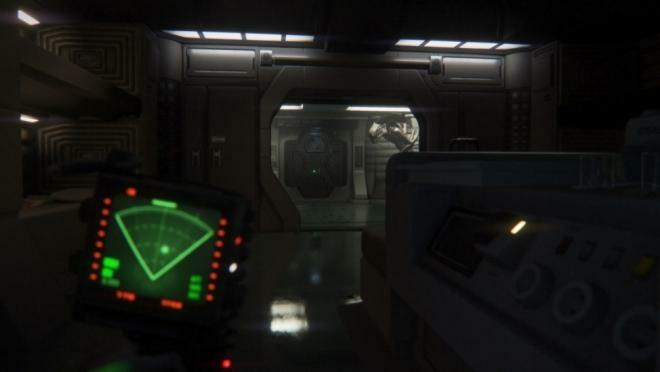 The opening sequences of 'Alien Isolation' sets the pace for the game that will unfold over many hours. The environments are expansive and lived-in, appropriately damaged from some sort of disaster. And this of course means one thing, it's time for a first-person horror experience. Case in point: Just as soon as you have the basics of using tools and crafting items, you'll find the other humans on board are out to kill you. It takes a few, if not just one well-placed bullet to put you out of action. Add to that, rubbery skinned and soullessly eyed androids that won't hesitate to strangle you to death and you have the makings of a tense experience, especially when you discover it's not best to use your weapons. Approximately a quarter of the way through the game's 16-20 hour campaign, our titular foe emerges in spectacular fashion and turns gameplay upside down. While your trust revolver is enough to bring down a human or android, you'll quickly find any noise you make is bound to bring the Alpha predator calling, which for quite some time will result in you dying, again, again, and again. Making matters worse, but adding to the rich atmospheric horror of the game, you can only save at sparsely located emergency call boxes. Then again, even if you reload, chances are you're going to have to think on the fly, because the game's main antagonist thinks, and on the highest difficulty setting, learns. His hunting patterns are random and your only clue to his whereabouts are the sounds of him skittering above or below you, or the solitary ping of your motion tracker, which if used in close proximity, serves as a dinner bell. 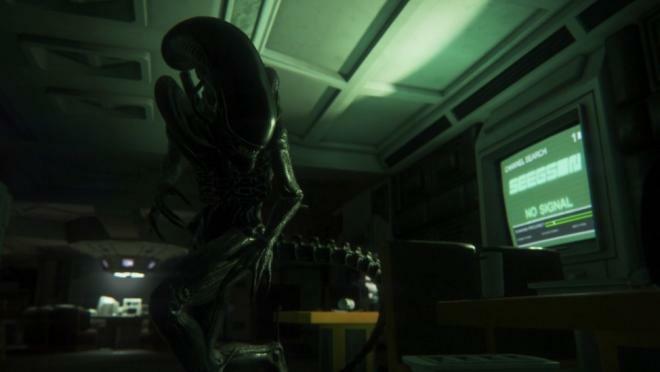 A large portion of 'Alien Isolation' is spent carefully navigating the corridors of the doomed space station, ducking all manner of enemy, but most importantly the sleek agent of death fans have come to know as the Xenomorph. There are plenty of places to hide in the game, from tables, to lockers, and in the most desperate of situations, the shadows. Even when you know the Alien isn't on your level, moving too quickly under an open duct results in yet another jarring death animation, and its back to your last checkpoint. All this is great up front, however, 'Alien Isolation' turns out to be the rare game where less would have been more. The game begins to feel sluggish midway through. Even though the final act throws in some great twists and surprises I refuse to spoil, more often than not the game boils down to trial and error and to be blunt, even on its normal difficulty setting, the game offers no quarter. The increasing number of distractions you're able to craft will aid you in your progress, but as mentioned previously, on the hardest difficulty setting, the Alien will learn your habits and you'll be forced to employ some reverse psychology at times. Your only true salvation is the iconic flamethrower, which offers some relief, even though the Alien will inevitably return with more ferocity. There are occasions where making noise near NPCs will allow you to escape, if you don't find yourself distracted by the carnage ensuing form the Alien's attack on ill-equipped station holdouts. 'Alien Isolation' without question replicates the atmosphere and sheer panic of Ridley Scott's film, as well as returns the title creature to a mantle of menace that hasn't been evoked since the original H.R. Giger design lurked through the passageways of the Nostromo 35 years ago. That said, the game length coupled with the sometimes frustrating trial-and-error approach, can make this a tough game to get through in minimal sittings. I found it the rare game that I'd recommend playing on easy mode, that is, if you're really going in for the story and returning to later to up the difficulty and try to survive. It is however, a game that does the 'Alien' legacy justice and is a fantastic entry into what I hope to see a genre explored more on the consoles. Visually, 'Alien Isolation' is for the most part very stylish, absolutely nailing the production design of the Scott film to the letter. Environments range from expansive to claustrophobic and detail is relatively solid. Animations, in particular the Alien, aren't as fluid as desired and there's the occasional hiccup in NPC movement. Character models both in-game and during cutscenes are generally realistic, although the cutscenes do suffer from some big-time framerate issues, minor screen tearing and texture pop-in. There's a noticeable hiccup that occurs whenever a cutscene finishes and the scene is returned to the in-game engine, but for the most part, gameplay is incredibly fluid and smooth, with very few instances of pop-in. Lighting effects in the game are quite underappreciated at first, but as the game progresses, they definitely provide a huge boost in your chances of surviving specific situations. For all the issues with the graphics, in particular the cutscenes, the sound design of 'Alien Isolation' is a contender for best-of-the-year. Atmospherics rule the day and it really is a must to have your sound system cranked; while at first it immerses you in the environment, once the Alien shows up, you'll depend on it to here where he is, and the surround effects as he runs above you are simply amazing. Other effect work is more than noteworthy and voice acting is definitely above par. The score is very reminiscent of both Jerry Goldsmith's work on the original film and James Horner's work on the sequel; it can be used to heighten the tension or sell the bombastic tone of a situation. 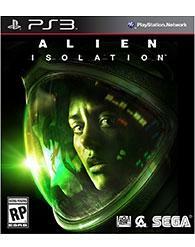 Whether or not 'Alien Isolation' will find itself being played more than once, is really up for debate at this point. In terms of replaying the main campaign, I only see the appeal of tackling the AI at its highest difficulty, which is likely to take many more hours, but I'd wager over many play sessions. The game does offer a survivor mode that shouldn't be tackled until the main campaign is over and the developers have promised DLC will add to this mode. As of this release there are two DLC levels out directly tied into the original Scott film. I was able to play through 'Crew Expendable' which recreates the film's iconic sequence of Dallas hunting the Alien to the ventilation system (here, you can play as Dallas, Ripley, or Parker). I really tip my hat to the designers of this stage, who replicate the Nostromo in stunning detail; likewise, although quite short in length, 'Crew Expendable' recreates the atmosphere and tone of the original film in stunning reality and I would be absolutely ecstatic should there be future DLC recreating sequences from 'Alien 3' in similar fashion. 'Last Survivor' is also currently available and replicates Ripley's rush to set the Nostromo's auto-destruct sequence. If it is of the same caliber as 'Crew Expendable', I'd label it must own. I truly want to say 'Alien Isolation' is a contender for game-of-the-year. It's the rare gaming experience that offered me something I never experienced and immersed me in a setting from start to finish. It's beautifully rendered and one can't praise the sound design enough. Still, there's no denying it's long and repeated trial-and-error will only stretch that out to moments of sheer frustration at the game. The story of Amanda Ripley is definitely worth experiencing, but be prepared for some stretches of thin narrative amidst your quest to survive, or more aptly, die less. Finally, it seems, Sega, has directed developer Creative Assembly to make a game with enough authenticity, creativity, and style to make the franchise proud. For those willing to look past the most recent abysmal offering, Gearbox's 'Aliens: Colonial Marines,' 'Alien Isolation' brings it back to where it started. I can't lie about your chances, but... you have my sympathies.